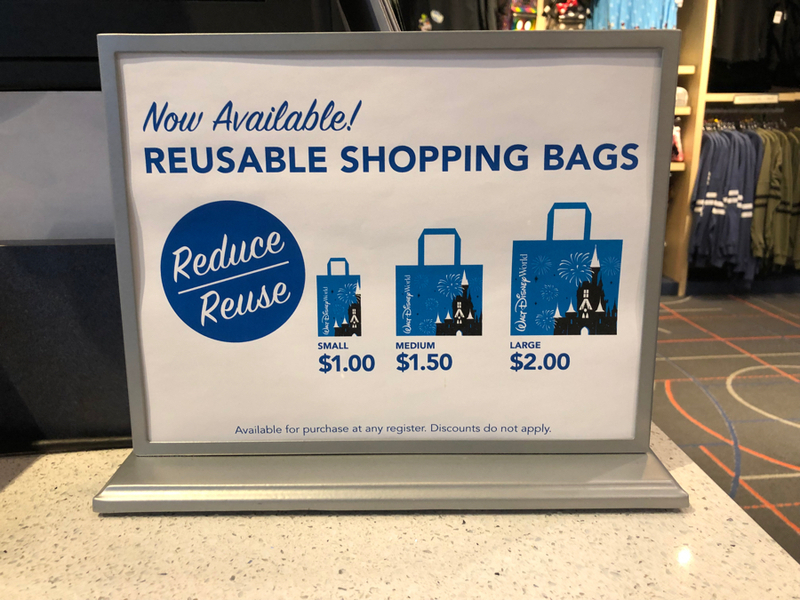 Shopping at the Disneyland Resort or Walt Disney World Resort has now become more environmentally friendly as reusable shopping bags have been introduced all over the parks and resorts. 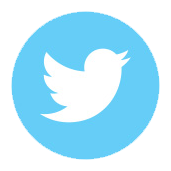 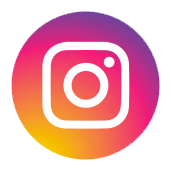 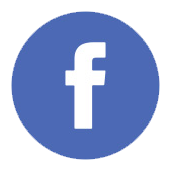 The bags are available in three sizes, are being sold for a nominal fee, and are made of 80% recycled materials. 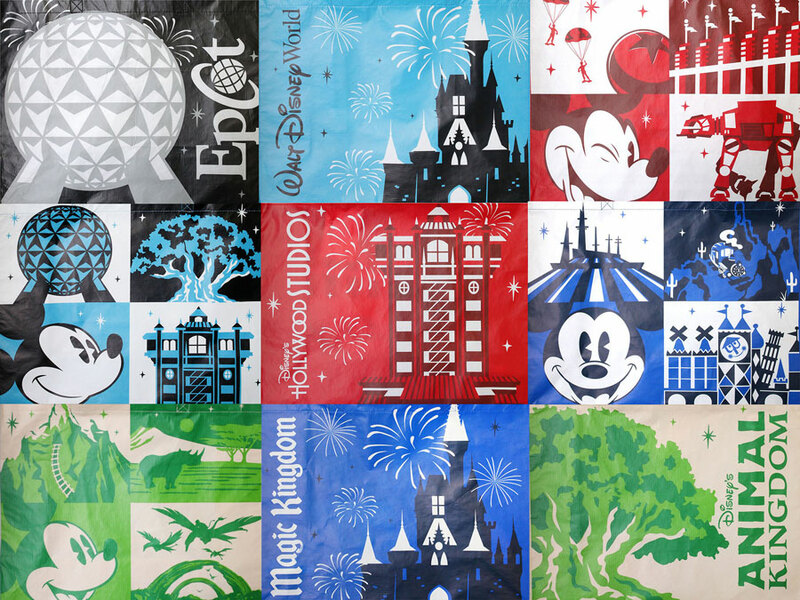 The bags feature Disney character designs along with familiar icons from the Disney theme parks. 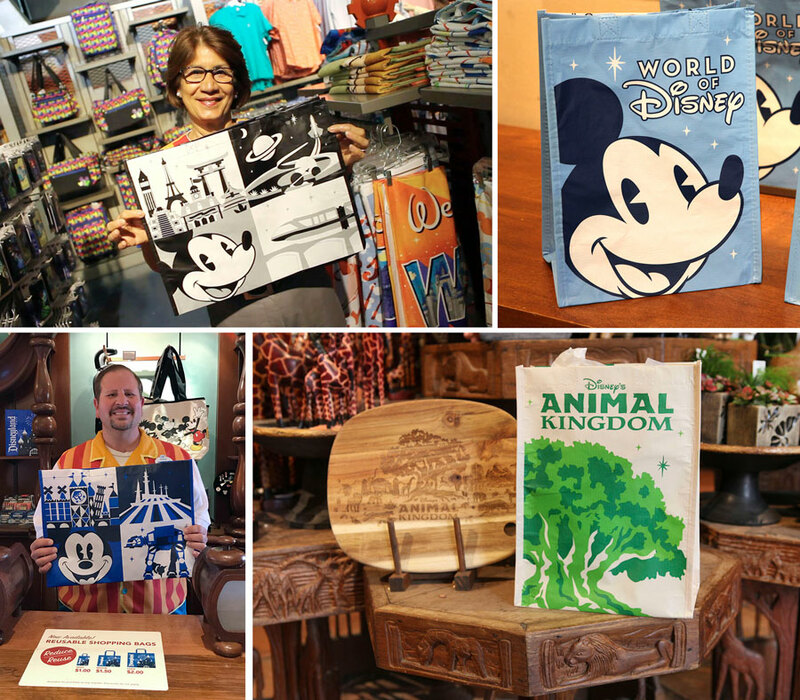 Guests will find four different bags at the Disneyland Resort; one for Disneyland, Disney California Adventure park, Downtown Disney District, and Resort Hotels, and the World of Disney bag. Seven bags have been introduced at the Walt Disney World Resort; a bag at each of the four theme parks; a bag for owned-and-operated shops at Disney Springs; a shared Walt Disney World Resort-inspired bag for Resort Hotels, ESPN Wide World of Sports Complex and other merchandise locations; and the existing World of Disney bag. 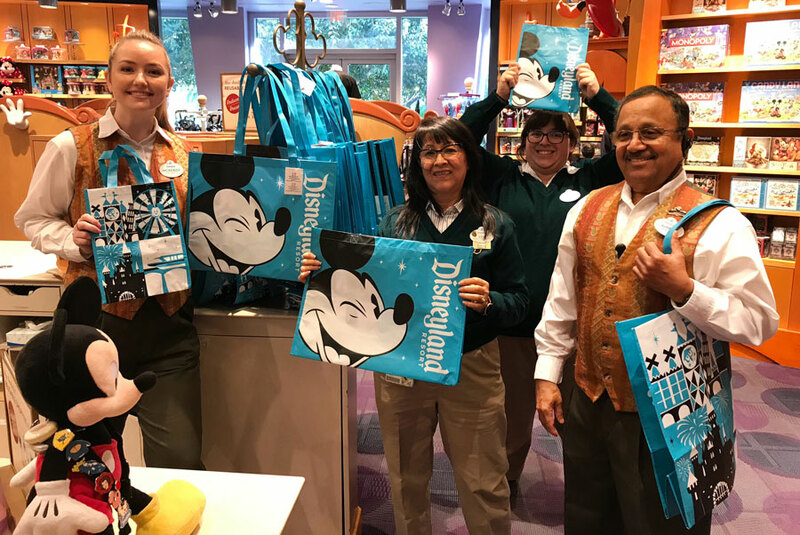 Bringing a few of these reusable bags home from your Walt Disney World vacation then using them at your local grocery store is one way to bring home the magic.